Why start the legislative session so early — January 7 — this year? Because it’s the law! The convening date for a legislative session, the length of the legislative session, how much time the Governor has to act on bills as they are passed, and other dates and time periods that come into play during a legislative session are determined by the Colorado Constitution. Some of the constitutional provisions governing the legislative session have been around since Colorado was a territory. And the citizens of Colorado have voted more provisions into the constitution since Colorado became a state 139 years ago. 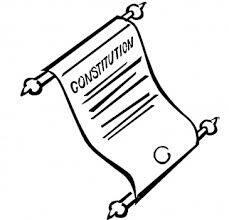 Either way, constitutional provisions are the ultimate law of this land. The constitutional provision that determines when the legislative session annually convenes is section 7 of art. V, and requires the General Assembly to meet in regular session at 10 a.m. “no later than the second Wednesday of January each year.” This year, the General Assembly is actually convening on the first Wednesday in January. This is necessary because section 1 of art. IV requires the Governor and Lieutenant Governor to take office by the second Tuesday of January. But section 3 of article IV requires the General Assembly to declare the winner of the election for Governor and Lieutenant Governor or to decide who the winners are if the general election ends in a tie or is contested. To declare the winners, the General Assembly must be in session. So, each time a Governor is elected, the General Assembly must convene before the second Tuesday of January. Each regular legislative session can last no longer than 120 days, including Saturdays and Sundays and any other days the General Assembly may decide to take off (section 7 of art. V). A regular legislative session can last fewer than 120 days, which has happened as recently as 2008. Section 7 also allows the General Assembly to meet outside of a regular session when convened in a special session by the Governor or by written request of two-thirds of the members of each house. During a special session, the General Assembly can consider only the specific subjects listed in the Governor’s call or in the written request. For more information on special sessions, see “Frequently Asked Questions concerning Special Legislative Sessions”. Section 15 of art. V: During a legislative session, neither the House nor the Senate may adjourn for more than three days without the consent of the other house. Section 22 of art. V: Before a bill can become law, the votes on the bill must be taken on two separate days in each house. Section 11 of art. IV: The Governor has 10 days during the legislative session in which to sign a bill, veto and return it, or allow the bill to become law without a signature. The Governor has 30 days to act on bills that the General Assembly sends to him or her for signature during the last 10 days of session.